The latest issue of our FREE quarterly magazine is out now. 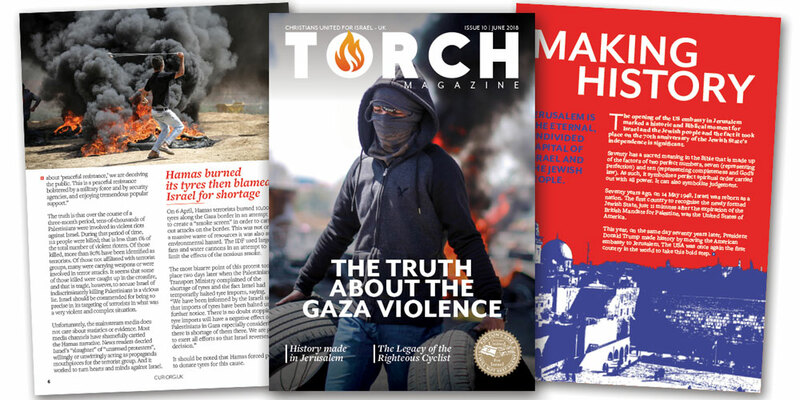 If you are not on our mailing list already and would like to receive TORCH by post or online, you can subscribe for FREE. In this issue we reveal the truth about the recent violence at the Gaza border. It is vital that the world understands what is really happening. From the UN to our mainstream media to the church, the truth must be heard.